The House of Wonders or Palace of Wonders (in Arabic: Beit-al-Ajaib) is a landmark building in Stone Town, Zanzibar. It is the largest and tallest building of Stone Town and occupies a prominent place facing the Forodhani Gardens on the old town's seafront. t is one of six palaces built by Barghash bin Said, second Sultan of Zanzibar, and it is said to be located on the site of the 17th-century palace of Zanzibari queen Fatuma. 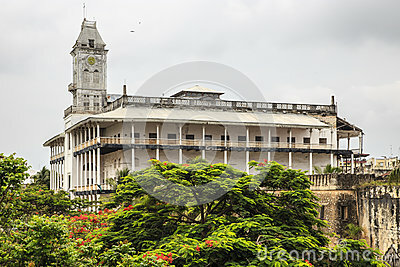 The House of Wonders currently houses the Museum of History & Culture of Zanzibar & the Swahili Coast.